Offering picking heights up to 6.3 metres, the BT Optio M-series includes six models for guided or non-guided medium-level order picking. Designed for use in space-restricted areas, the M-series order pickers can be used in distribution applications such as food, household appliances and pharmaceuticals. 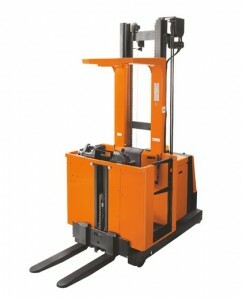 Elevating forks allow for easy placement of picked items on to the pallet, whilst the walk-through version allows the handling of bulky loads, enhancing operator comfort and efficiency. 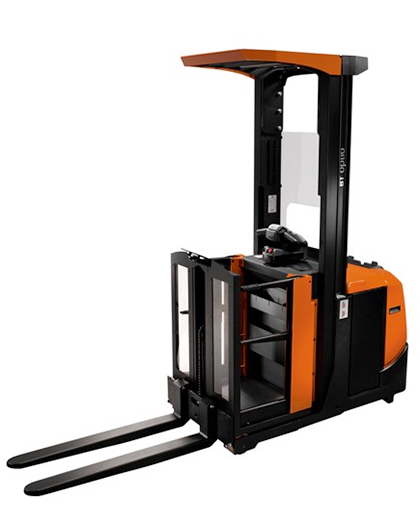 With safety a key feature, higher lift truck models in our M-series are equipped with the BT Optipace system, which automatically adjusts truck speed, acceleration and braking according to lift height. 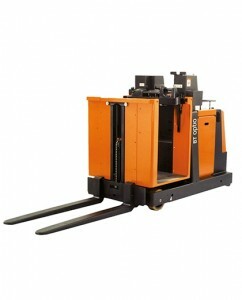 The OME100N and OME100NW order picker models in the BT Optio M-series have a compact design. With a maximum picking height of 3.4 metres, these narrow chassis models are capable of picking up to the second and third levels in highly congested applications. Equipped with BT Powerdrive and AC power, our medium-level order pickers are designed for fast and easy battery change, allowing for multi-shift operations. 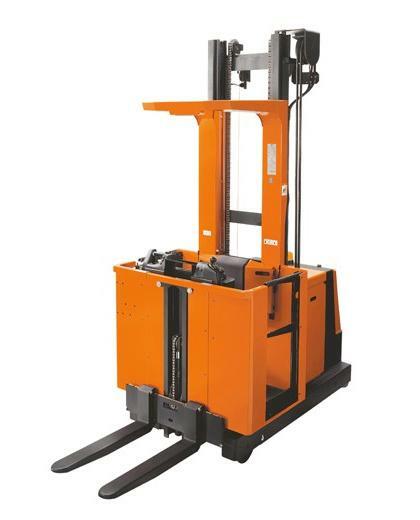 Allowing picking at the first, second and third levels, the BT Optio M-series models OME100 and OME100W can handle pallet loads up to 1 tonne, with picking heights up to 3.4 metres. Designed for wire or rail guidance, as well as ‘free-ranging’, these compact medium-level order pickers come with fixed or adjustable truck forks. Advanced electronic steering and fingertip controls offer precision and confidence for narrow aisle driving, whilst the walk-through design provides improved handling for bulky items. For higher level order picking needs, the OME100M and OME100MW offer picking heights up to 6.3 metres. 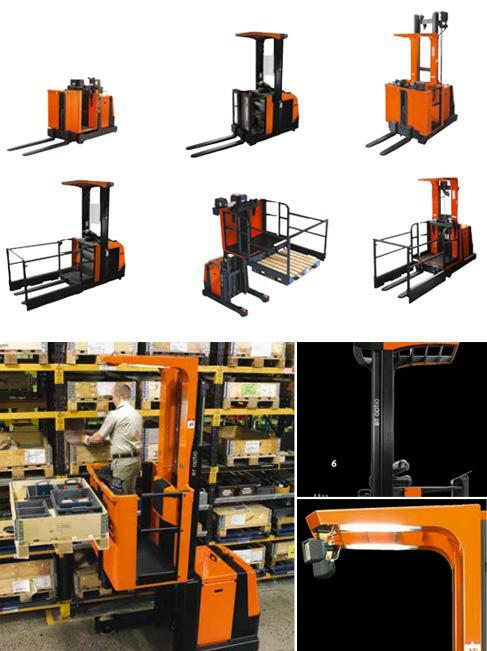 Suitable for material handling applications in confined spaces, these order picker models are designed for wire or rail guided operation. The spacious cab provides maximum comfort for the truck operator, and the travel speed is monitored in relation to truck platform height to ensure driver safety.